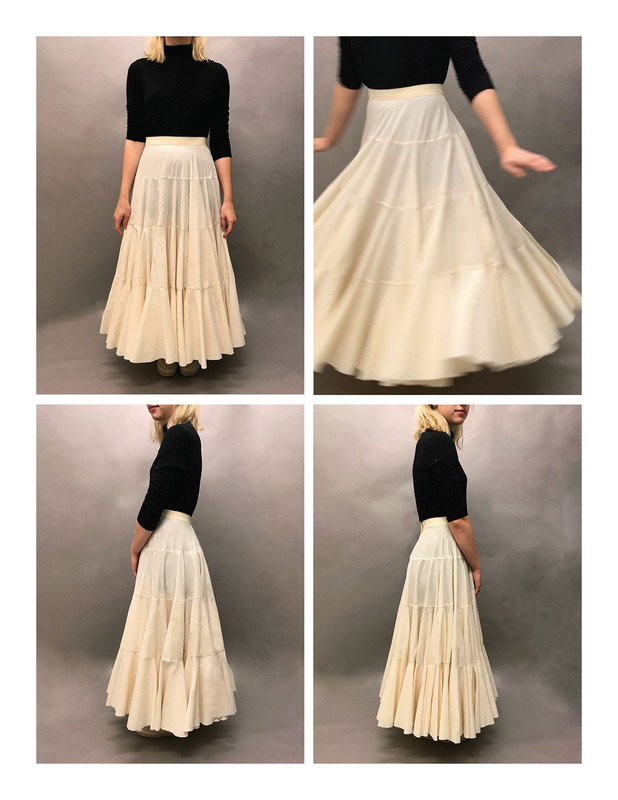 When given the assignment to make the biggest skirt possible, I set out to explore the idea of occupying space, creating large, wearable masses aiming to occupy the maximum amount of space possible while still allowing for motion of the wearer. Through exploration of materials such as polyfill and metal boning, I became interested in stacking and chose to make a series of layers which stack on top of one another in order to create a large mass. 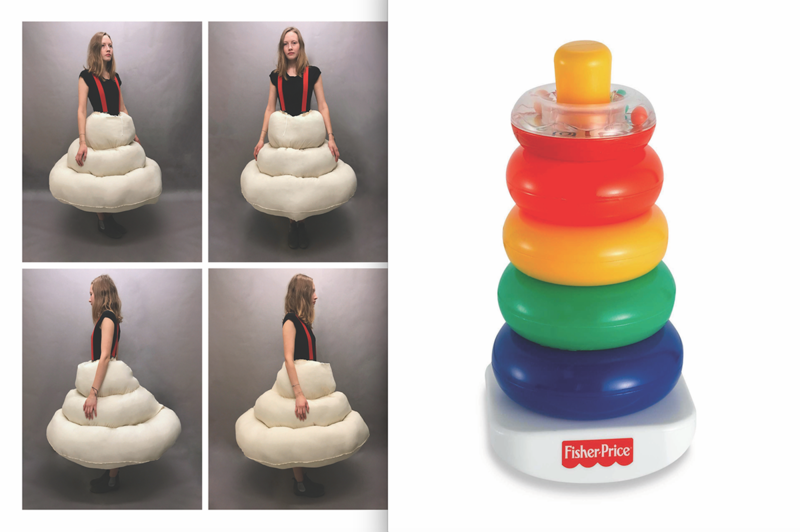 Looking to children’s toys for inspiration, I began thinking about play and interactivity in the dressing process. 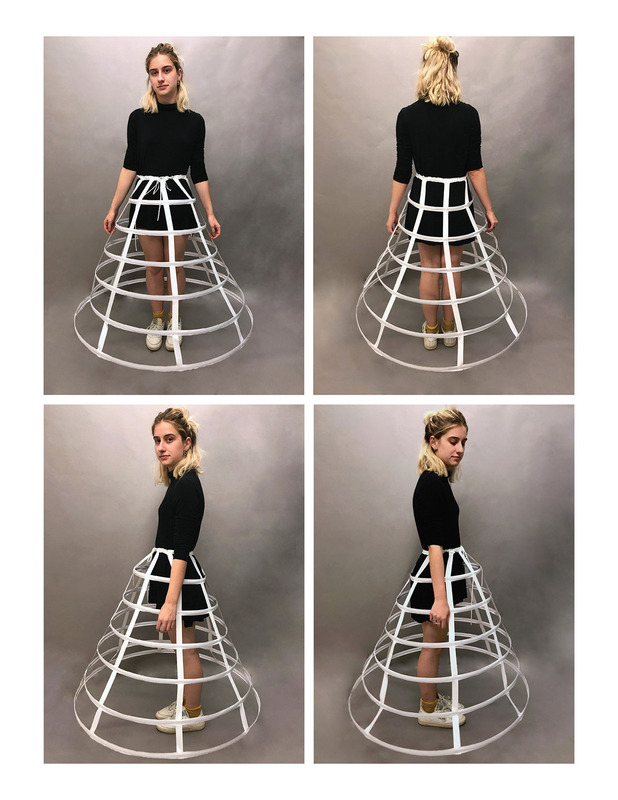 I chose to film a performance of the garment as I felt this process of stacking and dressing could only be shown through this form of documentation. 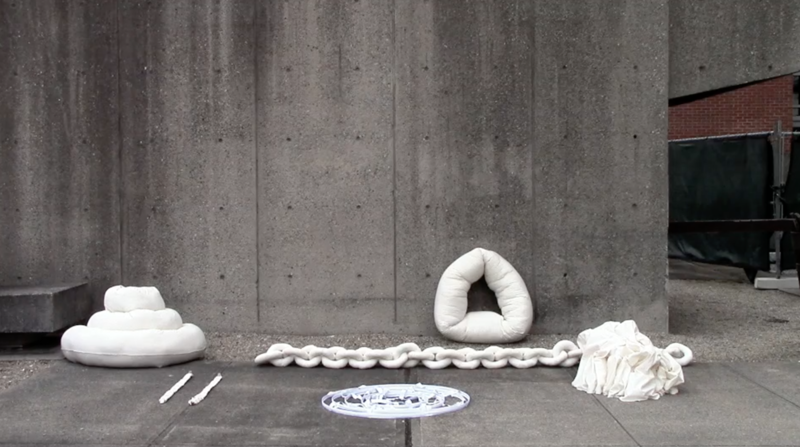 Video in collaboration with Coleman Hirschberg. Performed by Maxine Bell.